March is Women’s History Month. The DeKalb Chamber of Commerce will be recognizing women in DeKalb who have made a significant contribution in their respective industries and in our community. This week we are highlighting two women making a difference in their respective nonprofit organizations: La’Keitha D. Carlos of DeKalb County Government and Alisha T. Morgan of Ivy Preparatory Academies. DeKalb County CEO Prior to becoming the Chief of Staff for DeKalb County CEO Michael Thurmond, La’Keitha was one of his strongest supporters. Formerly an Assistant DeKalb County Attorney, she was persistent and determined to help Thurmond foster strong relationships. Now, she is one of Thurmond’s trusted adviser. DeKalb Farmers Market. I can spend hours in there! I love to cook so it is the perfect place to find any and everything I need to make all the recipes I find on Pinterest and just have to make. The freshest meats and seafood I’ve ever had and spices that I can rarely find at major grocery stores. Because I’m from Miami, a very diverse city, being at the farmers market reminds me of home because it is a virtual melting pot of cultures, people, and food. I am humbled to serve as the youngest, female Chief of Staff in DeKalb County history who also happens to be African-American and an attorney. When the CEO hired me as Chief of Staff, he did so knowing that I came with a very different perspective than my predecessors. As a practicing attorney with 14 years of experience handling complex legal and transactional matters, I bring a particular skill set of being able to advise him on critical business decisions that will impact the county for years to come. Prior to joining the CEO’s office I spent the last two years as an Assistant County Attorney with the DeKalb County Law Department defending countless matters in state and federal court, drafting intergovernmental agreements, and local legislation. It’s a joy to be able to continue my lifelong dedication to public service by providing support to the CEO based on my life experience. For more information on La’Keitha, click here. 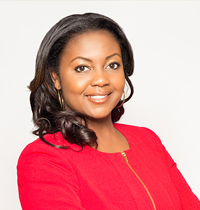 At 23, Alisha T. Morgan was elected to the State Legislature, becoming the first African American female to represent Cobb County in the Georgia House of Representatives. An advocate for charter schools, she co-sponsored a state legislation expanding school choice in Georgia; the legislation established an alternate state authorizer to open charter schools. 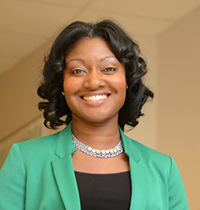 In 2015, she became the Executive Director of Ivy Preparatory Acadamies, which has three campuses serving DeKalb, Fulton and Gwinnett Counties. Charlie Yates Golf Course and Perimeter Mall. They are a combination of her two favorite things, playing golf and shopping. When Alisha accepted her position at Ivy Preparatory Acadamies (IPA) in 2015, the charter school was struggling. The high school program could not afford AP classes to equip its students for college and the turnover rate among teachers was as high as 90 percent. Under her leadership, the charter school network returned to its roots as a charter school, serving elementary and middle school girls only. More than 90 percent of its teachers have committed to remain in their classrooms for the 2017-2018 academic year. With the support of the governing board, she changed the academic structure of IPA Gwinnett, allowing eighth grade students to take accelerated classes to earn high school credits in math and Spanish. The curriculum at IPA network schools is aligned to state and national standards of academic excellence. Scholars and teachers attend weekly professional development sessions to find ways to improve teaching and learning. IPA has also experienced a record-high increase of applications to enroll. With IPA Gwinnett and IPA Kirkwood School for Girls up for charter renewal, both schools are projected to increase enrollment for the 2017-2018 academic year. For more information on Alisha, click here. For more on IPA, click here.